Ruling in DU copyright case reflects the inability of Indian courts to integrate legal outcomes with robust business models. The recent verdict of the Delhi High Court in Chancellor, University of Oxford v. Rameshwari Photocopy Services has spurred extreme conclusions. 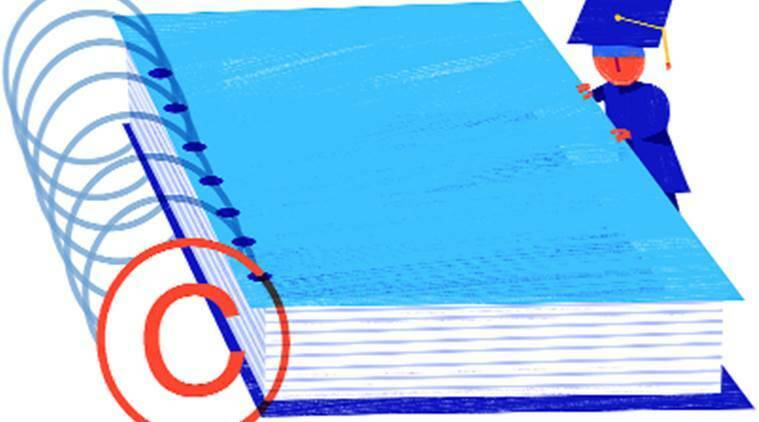 Advocates of open access have considered it as vesting limitless authority to copy for all educational purposes while the publishing world laments its potential to destroy the creation of content. Both are wrong, because observations in this verdict that go beyond resolution of the dispute at hand are legally ineffectual and must be set aside on appeal. At issue before the court was the photocopying of course packs by a Delhi University-authorised photocopier service without obtaining licences from academic publishers, with the extent of copying ranging from five per cent to 33.25 per cent of the contents of a book as per the publishers’ submissions. Copying beyond one-third of the text was thus not in dispute before the court and therefore, it would be fallacious for any free access advocate to contend that this verdict supports copying of entire books. Second, the photocopier service, though operating outside the library premises of the Delhi University, had a contractual relationship with the university to render course packs for its students and could be considered an “agent” of the university. Thus, acts by other photocopier services which have no such authorisation from formal educational institutions are completely outside the purview of this litigation, and will have to be independently tested. Even with this limited construction, a third of a book is substantial, and can end up wholly devaluing its market value if freely copied. Justice Endlaw supports this by expansively interpreting the fair use provision that authorises copying by a teacher or pupil in the course of instruction. To him, “instruction” is not confined to educational institutions or establishments but would also cover non-institutionalised learning. Moreover, “in the course of instruction” would mean not only classroom lectures but also the “entire academic season for which the pupil is under the tutelage of the teacher”, including “the prescription of syllabus, the preparation of which both the teacher and the pupil are required to do before the lecture and the studies which the pupils are to do post lecture.” As Prashant Reddy and Sumathi Chandrashekharan demonstrate in their forthcoming work on Indian intellectual property law, the compulsory licensing provisions in the Indian Copyright Act were a historical compromise struck precisely because of India’s inability, in the light of her international copyright obligations, to resort to fair use to authorise unbridled reproduction of expensive books in the guise of educational use. These licensing provisions still remain in the statute, and an expansive construction of the fair use provision would leave them redundant, a cardinal violation of the principle of statutory interpretation that resists rendering any statutory provision otiose. Apart from this interpretive concern, the verdict suffers from a deeper problem — a serious lack of vision. With no line drawing in sight, the verdict takes away all incentive on the part of academic publishers to put in the effort for professional editing and committed marketing. Even if one were to assume that academic authors are less interested in royalties from their writings, no academic author or publisher would like to see some cash rich venture-capital funded ed-tech start-up rampantly copying their work and cashing in on the licence-free pass granted by the Delhi HC. Unfortunately, the court in its mission to enhance access to subsidised students did not consider this logical consequence of its view on “instruction”. Anyone can be a teacher, and anyone a pupil, in the emerging world of smartphone-enabled “instruction”. When these new non-institutionalised actors in the education space start copying books without taking a licence, publishers will have no choice but to shut shop. The court should instead have exploited the textual ambiguity of the fair use provision to signal the creation of a different access model, one not built on the present unimaginative, and convenient, idea of unfettered photocopying and unremunerated access. First, it could have signalled the growth of a library culture in India by mandating that beyond a certain quantitative limit, books can only be accessed through dedicated e-kiosks that are digitally locked and housed within an institutional, non-commercial, library. This would have incentivised our universities to create a vibrant and modern library culture for the sake of enhancing access to their students, rather than entering into unsavory arrangements with photocopiers, as well as help us in better tracking the consumption of academic content by students. Second, the court could have held that in the event of publishers making available digital versions of their books for reasonable prices, only reproduction below a certain quantitative limit would amount to “fair use”. By holding so, the court could have signalled the academic publishing industry to go the digital way, spend less on paper, and adopt an eco-friendly business model. As a final takeaway, decisions such as this show the inability of Indian courts to integrate legal outcomes and robust business models. Unlike US courts that have used the transformative character exception in fair use doctrine to signal access models such as Google Books and Images, Indian courts confine themselves to binaries such as exclusive property or no property rights whatsoever. While Justice Endlaw rightly remarks that copyright is no divine right, divinity was never a pre-condition for creatively fashioned legal protection.